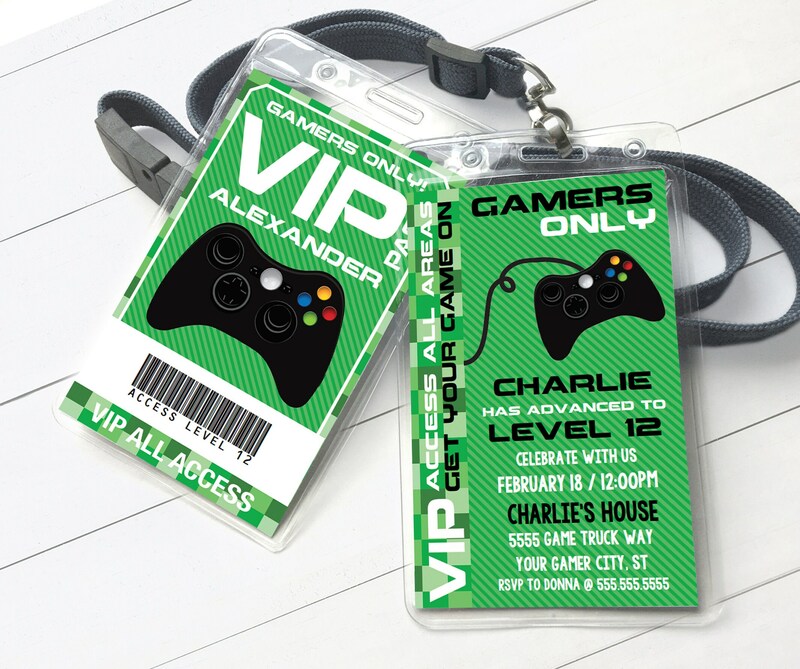 INSTANTLY DOWNLOAD, edit and print your VIDEO GAMER PARTY FAVOR BADGE INVITE after your payment is complete. 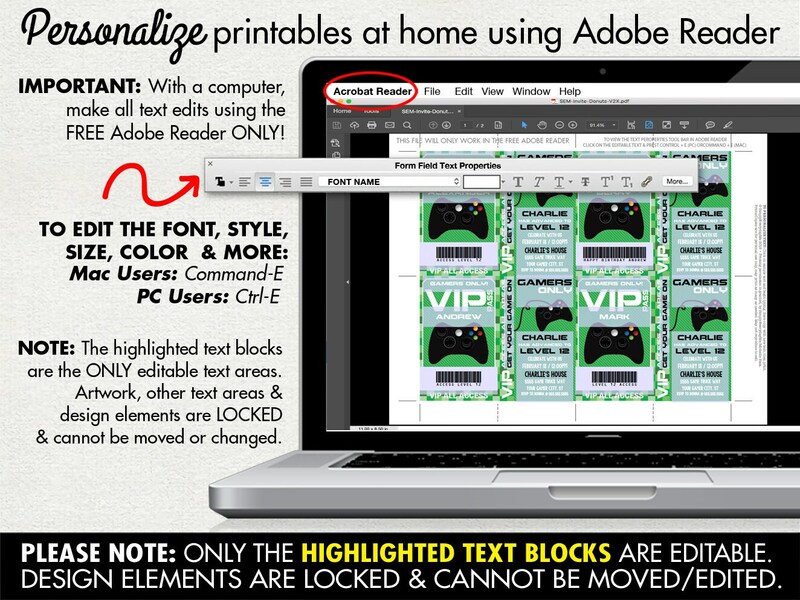 You will personalize the editable text in this printable PDF using the Free Adobe Reader on your computer. You may print & create as many times as you like.